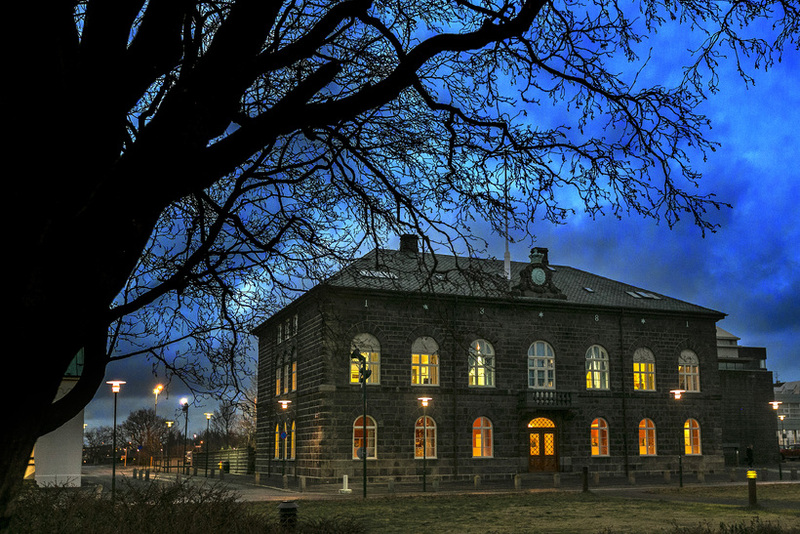 Iceland’s government hangs by a thread this evening as opposition parties prepare to bring an official motion of no confidence against it when parliament reconvenes after the Easter break tomorrow. “There is nothing else for it after this evening’s revelations,” says Pirate Party MP Birgitta Jónsdóttir. The Kastljós programme revealed details of the 'Panama Papers' at the same time this evening as media in over 80 other countries. 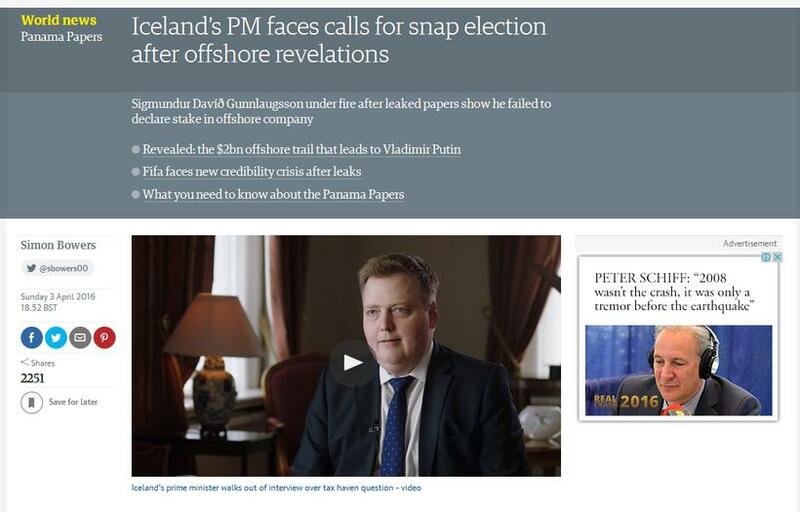 She is referring to a special edition of Iceland’s Kastljós current affairs discussion programme (link in Icelandic) dealing with this evening’s publication of the ‘Panama Papers’, a collection of millions of documents leaked from a Panamanian law film showing how influential people have exploited tax havens. 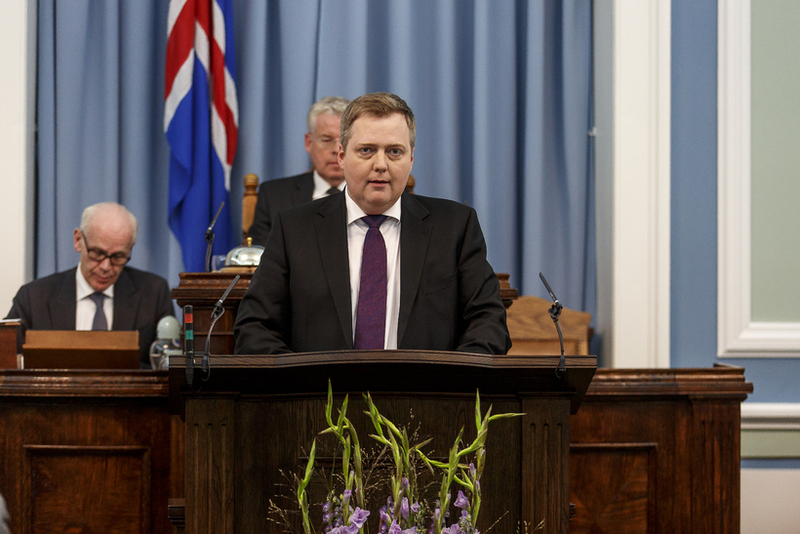 The list of those connected with offshore companies – with the alleged intention of hiding their assets – includes the Iceland Prime Minister Sigmundur Davíð Gunnlaugsson and two cabinet ministers. 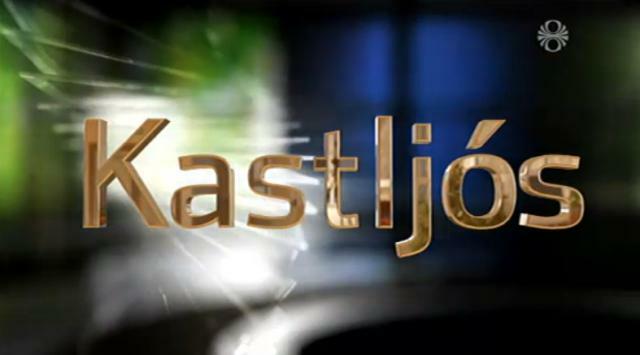 This evening’s Kastljós exposé has rocked Icelandic society, generating fury and disbelief on social media. “Iceland is in for another storm, it seems,” writes Süddeutsche Zeitung, alluding to the catastrophic crash of the Icelandic banking system in 2008, from which the country is just emerging. The major revelation for many in this evening’s programme involves Wintris Inc., a company based in the well-known tax haven of the British Virgin Islands. 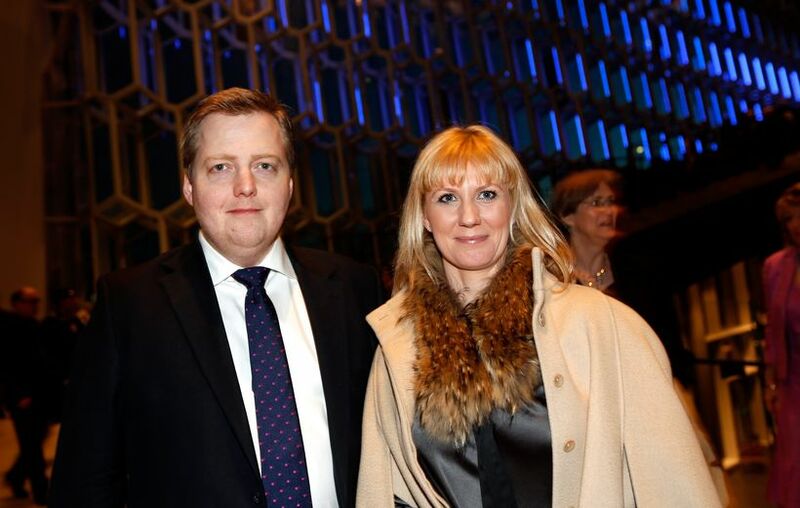 The company is claiming millions from the bankrupt estates of Iceland’s fallen banks and was recently revealed to be owned by the Prime Minister’s wife Anna Sigurlaug Pálsdóttir. PM Gunnlaugsson has been accused of a major conflict of interest, inasmuch as he – as PM – was instrumental in striking a deal for the banks’ claimants while himself being closely related to one of them. The PM’s defence has centred on the fact that the company was owned by his wife, not him. Tonight’s exposé, however, revealed that he was indeed 50% owner of the company from the moment it was set up. On 31 December 2009, Gunnlaugsson sold his half of the company to his wife for the nominal sum of $1. 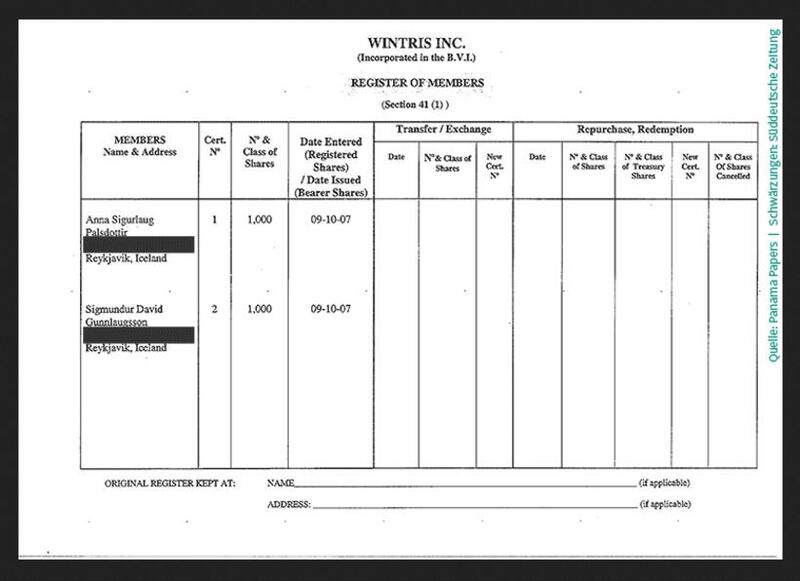 The very next day, a new Icelandic law entered into force which would have obliged him to declare the existence of Wintris Inc. as a conflict of interest. The timely sale released him from any such obligation. Opposition figures in Iceland have described the case as “inexcusable” and a “stain on Iceland’s international reputation” and the PM of this tiny Nordic nation is making the headlines across the world. 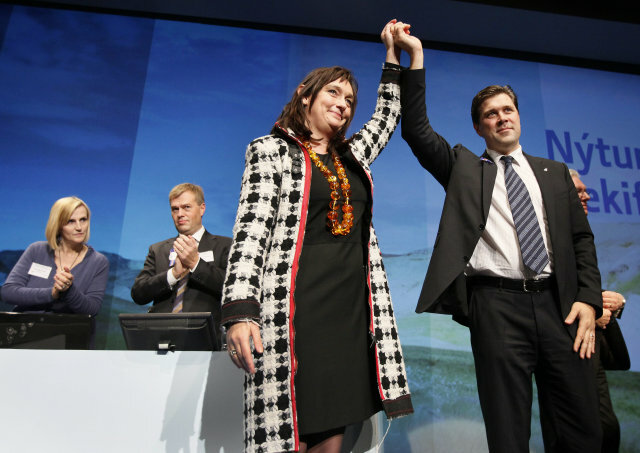 A meeting of opposition leaders will be held tomorrow morning, followed by a motion of no confidence which, if passed, could spell the end for Iceland’s current centre-right government. An anti-government demonstration outside the Icelandic parliament scheduled for tomorrow has now attracted over 5,500 attendees on the social media event.